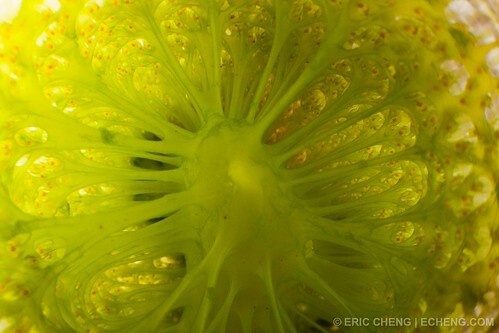 The Echinoblog: Beautiful & Creepy Things about Tunicates! 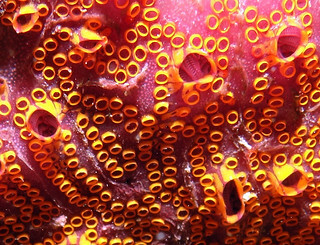 Echinoblog Off Topic! 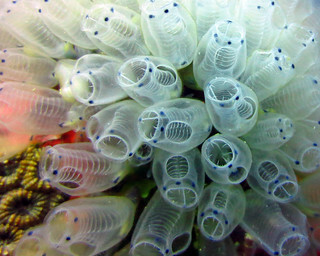 Beautiful & Creepy Things about Tunicates! Echinoblog Off Topic! 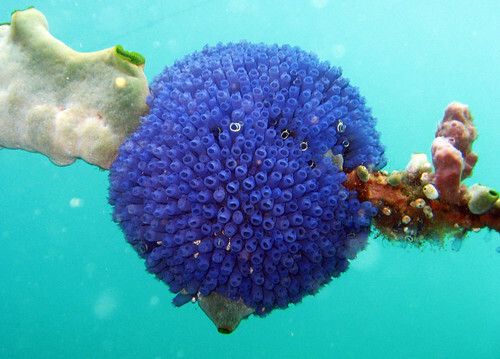 Today, a little off topic time for some tunicate love! 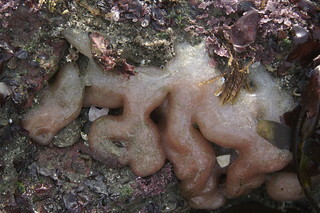 Most times, tunicates are small, out of the way or encrusting (i.e., covering surfaces over a wide area) but can be very abundant, carpeting areas until nothing else grows there..such as this one (Botrylloides diegensis) which is an invasive in San Francisco Bay from Asia. 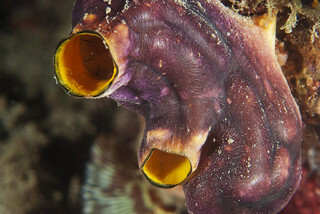 Under many conditions, tunicates are ugly and kind of bland colored things that are common components of fouling communities. 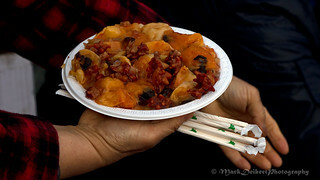 Its species such as this one which earn the oh so lovely common name "sea pork"(Amaroucium californicum). And so, they get a bad rap. 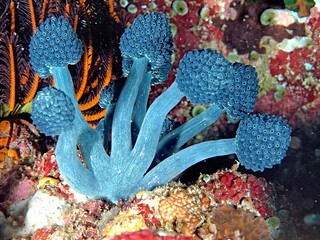 But tunicates are often gorgeous and attractive animals. PLUS, they do weird and unusual (if kinda creepy) things! Let's go see! This shows two siphons: one is where water goes IN and the other is where it goes OUT. Botrylloides magnicoecum from Australia. And yes, those are apparently the REAL colors. 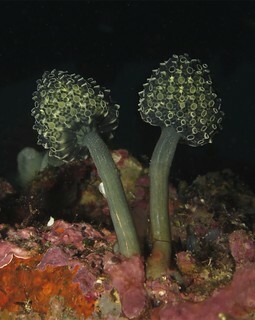 Other tunicates are more....unusual in appearance (I think these are solitary) BEHOLD! Sea Tulips! Pyura spinifera from Australia! And although I've been focusing on shallow water, I can't get past tunicates without the obligatory showing of the famous DEEP-SEA predatory tunicate (Megalodicopia hians) !! 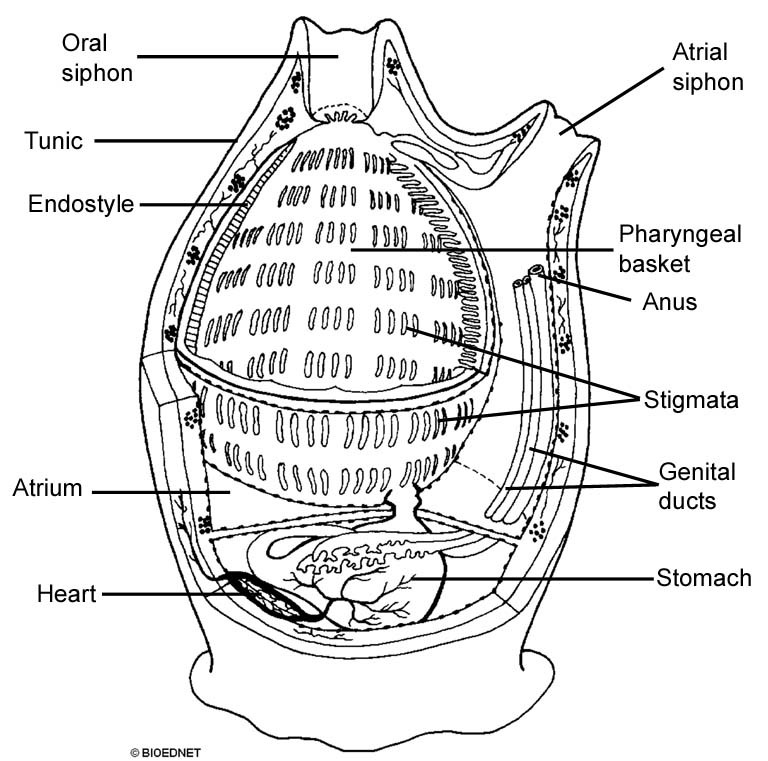 The IN siphon is modified into a mouth and the OUT siphon kicks out the tunicate poop! Let's let the British narrator take us away! 3. 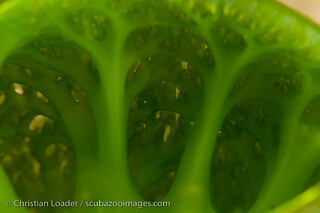 The predatory tunicate is a great segue for the vice versa! 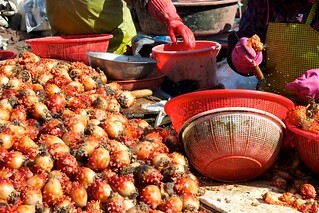 People EAT tunicates. As I've outlined here. Its called the "sea pineapple" among other things in Asian cultures, but different species (called 'sea violets') are eaten by Europeans.. 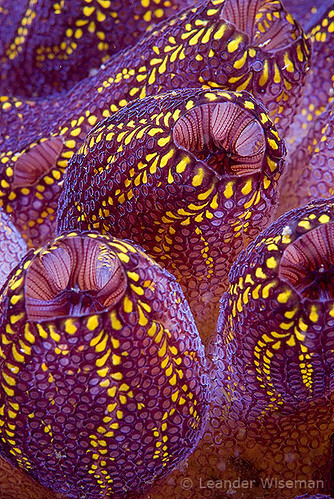 If tunicates have similar enough tissues (historecognition) ie. are similar enough two physically different individuals can physically FUSE together. Why say it, when you can SHOW it? 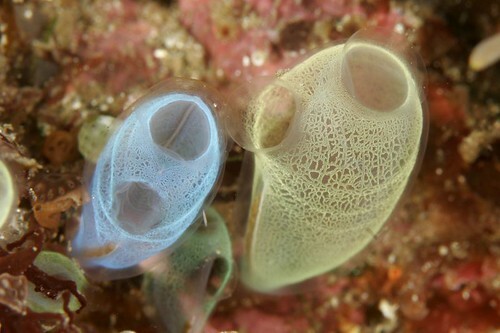 This video shows a fusion event in progress between compatible individuals of the sea squirt, Botryllus schlosseri. 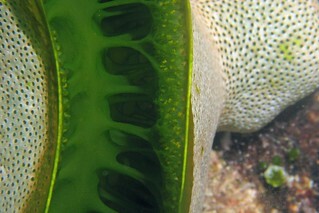 At the beginning, terminal parts of vasculature, called ampullae, which surround the colony, have come into contact (one colony is on the top right, the other on the bottom left, out of the field of view). 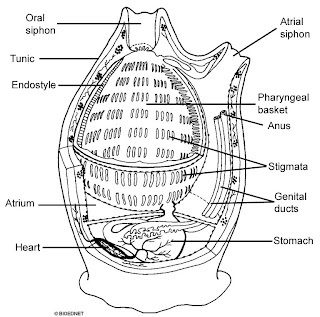 The ampullae push into each other repeatedly, and finally the cell layers between two ampullae fuse, and results in both individuals sharing a common circulation. 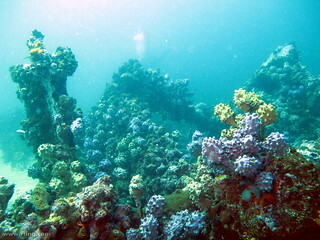 Fusion can best be seen on the top left, but occurs in several places in the region of interaction. The decision to fuse or reject is based on whether the two colonies 'match' each other, analogous to how humans accept or reject transplants. See this essay for more. 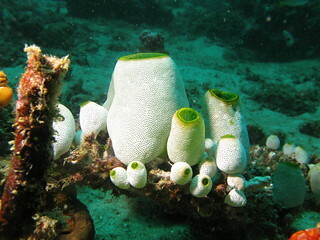 But bear in mind, tunicates may look simple like sponges-but they aren't! Sponges don't have tissue, so those videos where they grind em' up and they get back together? Not that hard for animals that are still essentially just colonies of cells. Proper ANIMALS with tissues don't typically do stuff like that. The fusion shown in tunicates above? That's like you and your family, suddenly fusing into one big amorphous pile. Squicky, eh? Go here to learn more about this. 5. 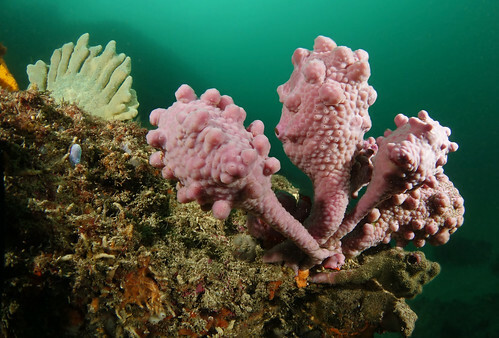 Where can I learn MORE about tunicates? 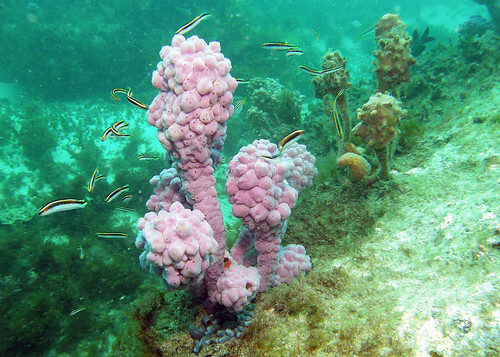 *Did you know that tunicates accumulate the metal Vanadium in their body tissues? go here to learn more. 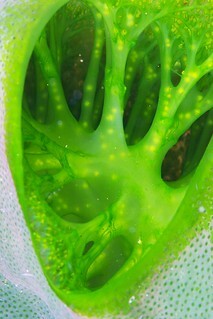 *Will tunicates be used as biofuel? 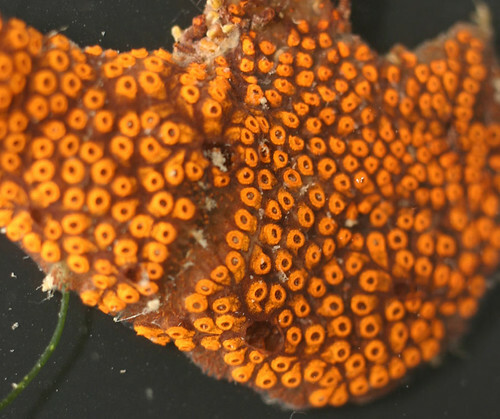 and my colleague Jarrett Byrnes writes a blog that often involves tunicates!